As well as my own journey of learning, I have been fortunate to work with, coach, do intuitive readings for and talk with thousands upon thousands of Twins from all over the world, both as personal clients and via the comments and emails I receive every day. This means I’m fortunate to be in a pretty unique situation – knowing that Twins all over the world really are struggling with a lot of the same issues, even if they’re not aware of each other. This is why I was asked by spirit to create the Vibrational Alignment Program for Twin Flames after my own Twin and I reached Union. Put simply, all of our universe is energy in motion. Nothing is really solid. The world, the floor, the computer, and even your body, are atoms vibrating at particular energy frequencies. This is scientifically verified, and has been for decades and decades now. The great thing is that energy mostly behaves in predictable ways, just like gravity is always predictable (you don’t wake up some mornings to see garden furniture floating mid-air instead of being on the ground, for example). One of the most useful things to keep in mind as we go through life, is that energy interacts with what it’s in resonance with. This means that “as within, so without” – your personal energy field has a particular frequency, which always brings you in resonance with outside circumstances, people and experiences that are a match with that frequency. So if you’re feeling stressed, your vibration is in resonance with more stress, causes of stress, feelings of stress, other people who are also stressed… A person who’s shameful of themselves, are in energetic resonance with outer experiences that match this, and so on. You’ll notice this in people around you – some people seem to have “all the luck” while others constantly struggle. It’s not a random thing, it’s because of their energy. The amazing thing is, we can shift our personal energy frequency by clearing out the lower energies and emotions such as shame and fear and guilt. This brings us into resonance with new and more positive things. I have experienced this myself and in countless clients. When you change your energy, you ultimately change your life and your experiences. Sometimes it takes a while for the outer circumstances to “catch up” with your new energy focus, but it will always happen. Again – we are all energy in motion. If you look at human tissue close enough in a microscope, you’ll see atoms vibrating. Nothing is solid. 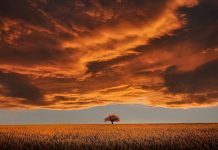 WHY THIS IS CRUCIAL INFO FOR TWIN FLAMES: For Twin Flames, “as within, so without” means that shifting our energy lifts us up and away from all the typical Twin struggles, running, separation and problems. Every single day, I receive emails from Twins whose journey has changed for the better as a result of energy clearing. (If you want to read some of their testimonials, have a look here). Another law of energy deals with how our focus onto something, brings more of it to us. This is because we engage with it deeper and deeper. It’s also how the brain works, where repetition makes the neural pathways deeper and deeper and more engrained. As an example, if you’d been a smoker for two weeks it would be a lot easier to quit, than if you’d been a smoker for twenty years. When we focus on a particular fear or worry over and over, we are putting our personal energy into and blending with the energy of that fear or worry – tangling ourselves up with it and bringing it closer to us. On the other hand, if we use our power of energetic focus to think about an ideal situation over and over – like we do through Creative Visualization – we can deliberately bring those ideals closer to us, putting more and more of ourselves into them and blending our energies with the situation so that we’re in alignment. Be conscious of the true power of your unseen faculties, because you can with your focus align with either positivity or negativity – staking out a course for your future. Most people do this on automatic, aligning with fear and worry. But now you’re aware of it, you can choose to focus on what you want more of, not what you’re afraid of. WHY THIS IS CRUCIAL INFO FOR TWIN FLAMES: There is so much information out there about the “horrors” of the Twin journey, and if this is what we focus on, this is what we’re attracting and manifesting. Many Twins believe that running and separation and trauma is “supposed” to be a part of the Twin Flame journey and that it is a natural and necessary part of the connection. The truth is that it doesn’t have to be. In fact, the more you focus on running or the “problems” of the Twin Journey, the more you align with this and draw it to you. It’s always your choice what to focus on and create. Like I just mentioned, the universe is all energy in motion. What most people don’t consider, is that emotions are also energy, thoughts are also energy. I feel bad, therefore something must be very wrong – and therefore I start focusing on it, looking for it, trying to find the causes, getting tangled up in worry and looking for problems. Or I feel low today, therefore something must be very wrong – and therefore I start focusing on it, looking for it, trying to find the causes and getting tangled up in worry and looking for problems. In the world of energy, however, this is completely backwards! What is really happening is, emotions are the “language” of energy being translated into your body. When you feel sad, it is because you are reacting to the energy of sadness. When you feel angry, it’s because you’re reacting to the energy of anger. Fear is just an energy pattern, jealousy is an energy pattern, shame and sadness and feeling utterly distraught – they’re all energy patterns you can clear and shift out of once you know how! And the craziest thing – it’s not always your own energy you’re reacting to! You could have been reacting to someone else you’ve been speaking to, or to some other outside trigger (you’ll know this from watching sad movies – even though the sad things aren’t happening to you, you can still feel the sadness from the story of Romeo & Juliet or The English Patient, same with friends’ harrowing stories, or the news and so on). The truth is: emotions are just energy! So don’t take them so seriously. If you feel sad or down about yourself, clear it! If you feel angry or stressed, clear it! Don’t let the emotions run the show – you’re the boss. Emotions don’t get to tell you what’s going on. Learning energy clearing tools was the single most transformative and positive thing I ever did, not just for my Twin Flame connection but for my whole life! The hardest moments for me on this journey came after spending time in crowded places, travelling and dealing with other who’d been struggling – I didn’t realize at the time but I was reacting to their energy. Once my twin and I cleared those energies with the tools I developed, our journey opened up smoothly again! WHY THIS IS CRUCIAL INFO FOR TWIN FLAMES: On the Twin Flame journey it is crucial knowledge to not take your Emotions so seriously – because in the Ascension process your being is purging all past negativity and low energies from your being in order to open you up to Unconditional Love and blissful Union with your Twin once more. This means that sadness and self loathing could be coming up to the surface to be cleared, and if you’re operating on the common human pattern of taking emotions very seriously, this stuff will mess you around and have you locked to an exhausting rollercoaster of ups and downs. The worst is the Twin Flame tendency of allowing the negative feelings to colour their whole connection. When in a good mood, the journey is “beautiful” and full of love, but when in a bad mood it’s a pain, full of suffering – we end up casting blame onto the journey and the connection, when what we’re experiencing is actually just old energy coming up. When you begin to take your emotions with a pinch of salt, you regain control and you define your journey. When you begin to live from the knowing that emotions are just energy, you can detach from the drama for good and begin to enjoy your connection and see it for what it really is! In fact, spirit channeled a brand new energy clearing meditation for the Twin Flame pair to me just recently, which is specially designed to remove any negative influence that has a tendency to travel between the Twins in the soul merge process, causing flare-ups of running and separation. It also goes through shielding the Twin pair, updating your programming and unifying and uplifting your timelines into the highest possible dimension and vibration. You can read more about this here. You’re way more powerful than you have ever believed. You are not just the body you see, the name you’ve been given and the things you’ve experienced. You as a soul are infinite. You are a creator, a manifestor. 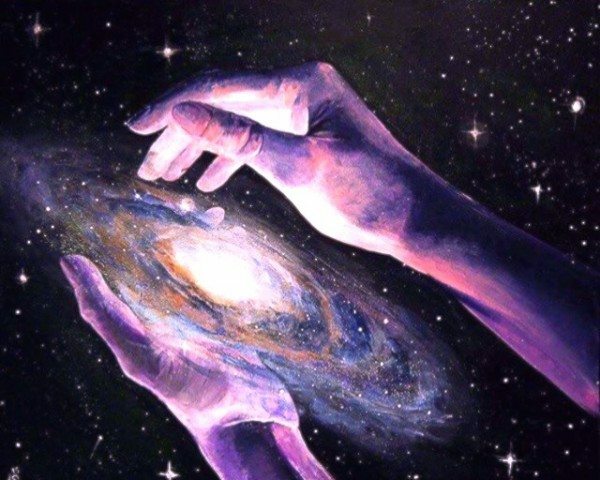 No matter what’s happened before, you are infinitely capable of creating and enjoying a Twin Flame connection of bliss, a life of joy and abundance. Society mostly teaches us the opposite: to listen first to parents, then to teachers, then to employers and the news and other authority figures. Most people spend their lives working and living according to someone else’s rules, often not even considering what would give them true joy and fulfillment. Our habit is most often to accept authority figures as more powerful than us, but the truth is that we’re all infinite energy beings experiencing life in human bodies. No one is ever more powerful than you, and if they seem to be, it’s because of a constructed hierarchy. It can only be true if you let it be. As souls, we are equals, no matter how it might seem on the outside. Your life is yours. You get to choose what’s right for you, and the easiest way to do this is to begin to listen to your intuition and how your energy reacts to people, places and events. If something feels good and light, it’s because it’s resonating positively with you. If something feels bad and heavy, it’s because it’s resonating negatively. The world is as full of opinions as it is full of people – just because someone else has experienced something or believes the world to be a certain way, doesn’t mean it’s true for you. Spirituality is still an unchartered area, full of opinions, so be sure to check whether something resonates with you before you accept it as true. 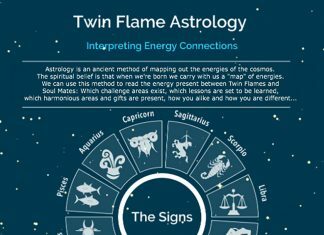 WHY THIS IS CRUCIAL INFO FOR TWIN FLAMES: The Twin journey is full of other Twins, writers, authors, bloggers, healers who have shared their experiences with this connection and present it as hard facts for how it will happen for you. Now, while it might be informative, it’s not always helpful, because each Twin pair is different. This is why I share tools and information to empower you to make your own choices and open up your own path, clear your own blocks. Many share their negative experiences in the belief that the Twin connection is supposed to be a “beautiful struggle”. That’s just a story. It’s a myth. It doesn’t have to be true for you. You have the power of choice. This path is yours, the journey is yours to take in any way you choose. – No one will do it “for you”… but that’s a good thing! Your life is your creation. We are constantly creating with our thoughts, feelings, focus and mental imagery. Everything you do has been preceded by the decision to do it. Your free will is what you use to create. We Twin Flames knew that Soul Reunion would not be imposed on us, but co-created with us by the universe as we learned to manage our energy and manifest consciously, following our hearts back to each other… And we wanted it to be that way, we wanted to experience this. A huge issue for most people is karma – their ancestral and personal patterns which keep them locked in a loop of creating and attracting the same things over and over. This is why you see people living near identical lives to their friends and family – they’re living on a loop, a fixed pattern of creation. When we step out of this “automatic” living, by clearing karma and eradicating self-defeating energy patterns from ourselves, we become able to create more joyously, more freely – we become conscious creators. As opposed to those “still asleep” who are going through the motions of repeating karma over and over. I teach easy but deeply effective karma clearing tools for Twins in both the audio sessions and the Vibrational Alignment Program for Twin Flames – it’s something that’s completely changed my life for the better. If your family and ancestors have been perpetually living lives of feeling unloved, working hard for very little pay, being unhappy in marriage and feeling that love was a lie, then these will have been passed down to you as “automatic programs” in your being, just like physiological issues are passed down genetically. Karmic patterns can be big underlying blocks for Twin Flames. Clearing out karmic patterns can really open up our ability to create joyously and consciously, avoiding separation, running and all the typical Twin issues – big shifts come when we remove karmic blocks from our field. Want more? For powerful methods to manage your mindset, elevate your vibration and harmonize your journey with your Twin, have a look at the Vibrational Alignment Program for Twin Flames.